Being a speech-language pathologist allows me to work in a variety of settings, including inpatient and outpatient rehabilitation, the nursing home, home-health care, clinical supervisor at the college level, and in the school. While I have worked in all of these settings, I have been blessed to work in the school setting since 2004, when I was hired to work at Cook County Preschool. Although I have worked at CMS part time since 2007, I have been housed at CMS full time since 2009. In 2013, I also began serving the students at CHS and continued to do so until 2016. Currently, I work solely with the students at CMS. I work with these students in a variety of areas that impact their ability to be successful in the classroom and on state mandated tests. 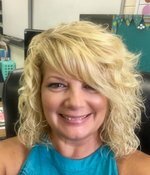 I teach vocabulary development, reading skills, including fluency and comprehension, note-taking skills, language skills, including listening skills and written language skills, articulation skills, and social language skills, including behavior management techniques for both self regulation and classroom modifications. In addition to my duties at CMS, I also serve as the Lead Special Education Teacher, Speech Department Head, Girls' Basketball Coach, Tennis Coach, Member of the Behavior Team, the BLT Team, and PTO President. I look forward to working with you and your student(s) this year. Please do not hesitate to contact me if I can be of any help to you. My family and I moved to Cook County in 1999 from Pennsylvania. Since that time, we have enjoyed living in Adel. We are members of New Life Baptist Church. My husband DJ and I were married in 1993. We have three awesome boys, Daniel, Brayden and Kaene, an amazing daughter-in-law, Anne, and one adorable grandson, Michael.